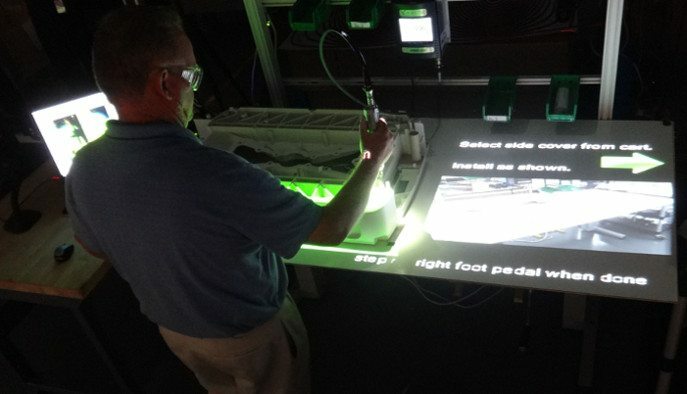 The projection on his worktop shows what the final product should look like; it even indicates the right tools to use, and flashes an affirmative green whenever a step in the assembly process is complete. The operator is grateful for his AR help – it’s like having an extra set of hands to get the job done right. Over at another station, an operator is dealing with component parts infinitely more complex and more intricate than they would have been even five years ago. But instead of dealing with an assembly of a thousand pieces, components are now 3D printed, made up of layer upon layer of metal alloy printed as one single piece, offering both quality performance and greater affordability. Meanwhile, thanks to even more technology innovation, another operator has been freed up from what’s known as “dull, dirty, difficult, dangerous” processes on the assembly line. Working with his neighboring collaborative robot or “co-bot,” the operator is freed up for value added work while the co-bot’s flexible automation handles the repetitive production work. GE Healthcare cobot at work. This isn’t the plot for a science-fiction novel, but rather the way imaging equipment like MR, CT and X-ray scanners and life sciences products will be manufactured in the very near future. It’s what GE Healthcare is working on every day to accelerate how its 70 factories around the world can adopt advanced manufacturing technology. 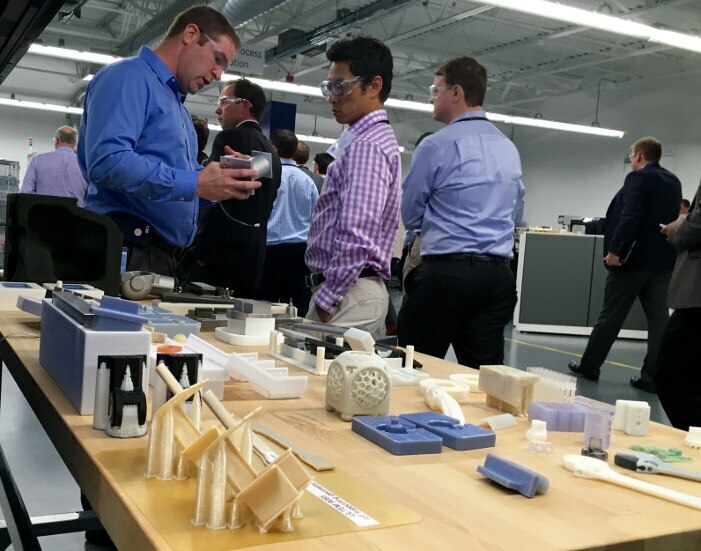 It’s all being developed at the aptly named Advanced Manufacturing Technology Center, home to GE Healthcare’s Advanced Manufacturing Engineering, or AME for short. Located in Waukesha, Wisconsin, the Center serves as a proving ground for the latest leading-edge technologies engineers hope will soon transform the way machines are designed, manufactured and even the way they interact with each other over the Industrial Internet – the network allowing machines to gather and interpret reams of data making them smart enough to predict their own maintenance schedules. Advanced manufacturing has experienced widespread adoption, resulting in lower price points and ease of use in day-to-day manufacturing settings. For example, AR systems that cost $20,000 today once cost close to $1M and can now be tailored to almost any industrial situation, including GE Healthcare’s factories around the world… limited only by the AME engineers’ imaginations. Additive Manufacturing, commonly referred to as “3-D printing,” is enabling GE Healthcare to advance its product designs well beyond the capabilities of traditional manufacturing techniques. Here, Steve Abitz, GE Healthcare Additive Process Leader and Rodney Hathaway, CFA, 1492 Capital Management, LLC, take a close-up look. “AR and co-bots got pushed hard by the automotive industry at first,” said Jimmie, “but we’re quick adopters and we’re also pushing these technologies into areas where the applications are totally new.” One example where GE Healthcare is currently using co-bots in manufacturing is at its Life Sciences plant in Oslo, Norway, where they’re assisting with contrast agent production and packaging. Always innovating, the AME team is also looking at AR usage for other operational needs, such as verifying that someone has gowned up correctly in a clean-room environment or for the routine maintenance of critical equipment. Surrounding all this exciting technology and the related applications is an overarching platform that makes it all possible: the Industrial Internet.